The United States celebrates it Independence Day on the 4th July. The date commemorates the Declaration of Independence, a statement adopted by the Continental Congress on 4th July, 1776. A total of 56 men representing the 13 colonies would eventually sign this document, a group that included three Irishmen: James Smith, George Taylor (both representing Pennsylvania) and Matthew Thornton (representing New Hampshire). However another Irishman would also play a key role on that momentous occasion, and be responsible for the production of some of the most important archaeological artefacts in United States history. John Dunlap was born on Meetinghouse Street, Strabane, Co. Tyrone in 1747. Ten years later he was en-route to Philadelphia, where he became an apprentice printer to his Uncle, William Dunlap. In 1766 the Irishman took over his Uncle’s business, and in 1771 began to produce a weekly newspaper called the Pennsylvania Packet or The General Advertiser. He became the official government printer in 1776, a position that would lead to his name going down in history. On the 4th July 1776 the Continental Congress made the text of the Declaration of Independence official. 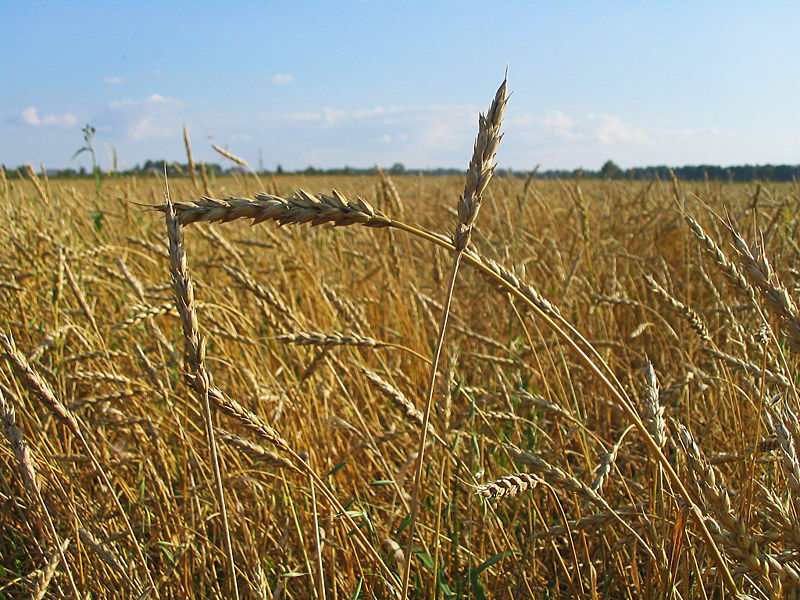 It had been prepared by the ‘Committee of Five’ which was made up of John Adams, Roger Sherman, Robert Livingston, Benjamin Franklin and Thomas Jefferson. 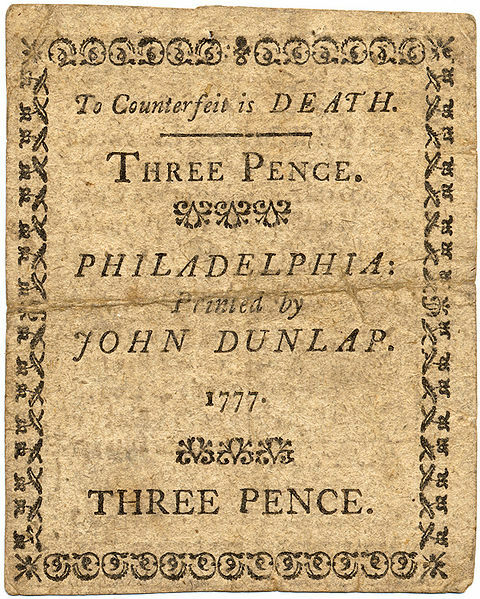 The agreed document was taken to John Dunlap’s premises at 48 High Street, Philadelphia, where the Irishman had to work fast to produce around 200 copies of the document. What must have been an exciting but nerve-wracking occasion for Dunlap was probably accentuated by the fact that at least some of the committee were present during the printing; Congress had instructed that ‘the committee appointed to prepare the declaration superintend and correct the press.’ Despite the added pressure and the presence of such luminaries, Dunlap successfully produced the broadsides for distribution. 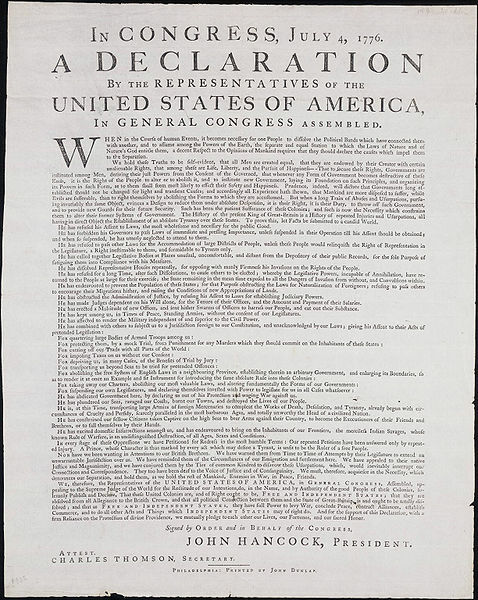 Although 4th July is Independence Day, it was the 5th July that saw the first steps taken to inform the people of the 13 colonies, and indeed the wider world, about the Declaration. It was early on the morning of the 5th that Dunlap’s copies were completed and sent back to Congress, and riders set out with the broadsides to bring the news far and wide. Other copies were sent to political and military leaders, and by 6th July it was printed in The Pennsylvania Evening Post. It was first read in public by John Nixon on 8th July on the steps of the Philadelphia State House. John Dunlap went on to serve as an officer in the Philadelphia Light Horse, and continued as a successful businessman, amassing considerable wealth most notably through property acquisitions. He died in Philadelphia on 27th November, 1812. Incredibly, some of the Irishman’s original run of the Declaration of Independence survive. Known as the ‘Dunlap Broadsides’, a total of 26 have been identified. Archaeological objects in their own right, they provide a physical link to the momentous night when the Strabane native played his part in the birth of the United States. Today his memory is kept alive in his native county, where a marker erected by Strabane District Council marks the site of his birth. Bere Island is a beautiful and peaceful place. 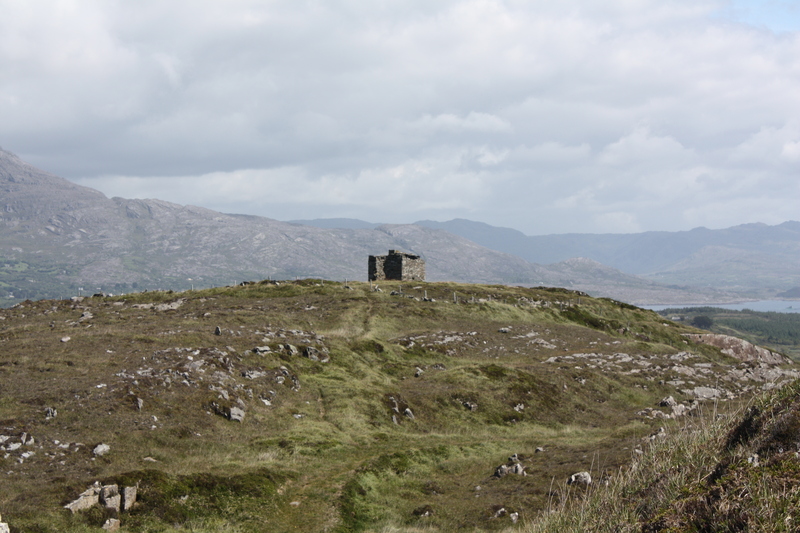 However, evidence of its military past is immediately evident when you first get a view of the island. Two Martello towers can be seen from the mainland together with a signal tower which formed a communication link between the towers. The Martello towers were built at the beginning of the 19th century in response to the failed French invasion of 1796. Bere Island is strategically located to provide protection for Berehaven, a favoured harbour for the British navy up until 1938. Originally there were four Martello towers with associated accommodation and a network of signal towers. Two of the Martello towers were subsequently demolished, one stood at the present location of Rerrin village and the second was positioned on the headland where the later Lonehort gun battery now stands. 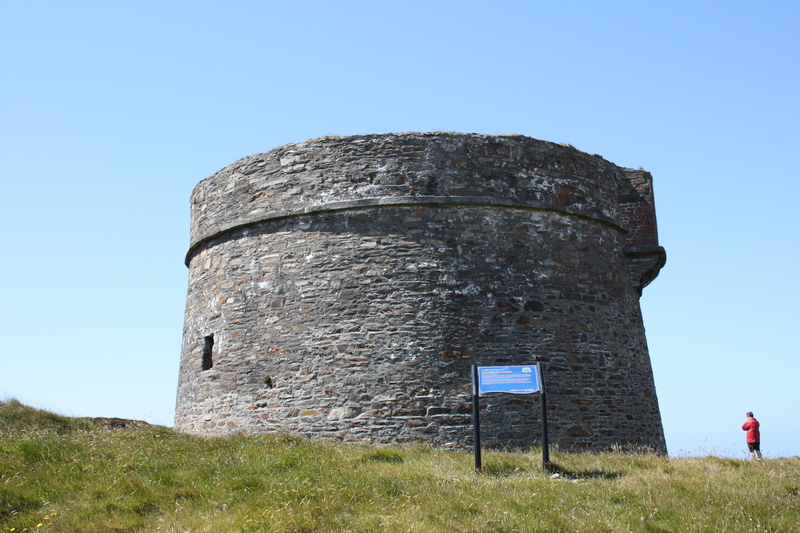 The surviving Martello towers are located on higher ground, one at Ardagh and the other at Cloughland. The Ardagh tower has recently been renovated and it is possible to safely enter the tower which provides excellent views over the island and the nearby mainland. Martello towers were constructed extensively by the British military during the late 18th and 19th century in coastal areas throughout Britain and Ireland. They were inspired by a defensive tower in Corsica at a place called Mortella, where British ships with a combined compliment of 106 guns was repulsed by two artillery pieces mounted on a circular tower which had to be eventually captured by a land force. The Martello tower was a simple but effective design. 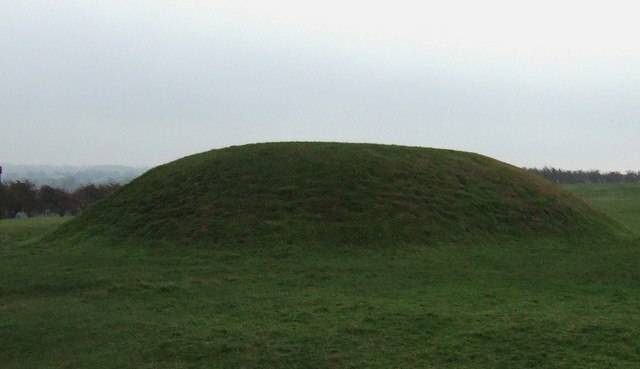 It comprised a circular stone built tower which held a single artillery piece which could traverse a 360 degree arc and could therefore fire in any direction. The gun was mounted on a wooden traversing carriage which rotated around a pivot set in the centre of the tower. 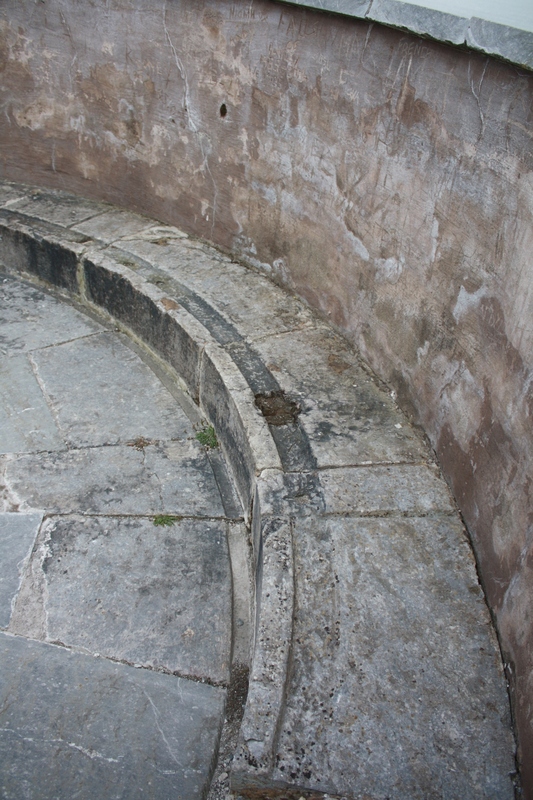 The front of the tower was mounted on wheels which traversed along a slot set on the rim of the fire step. 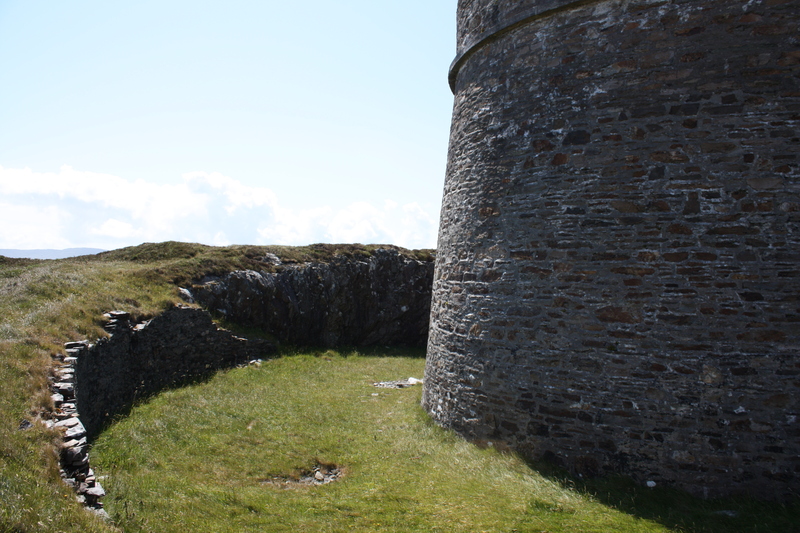 This slot is still preserved on the Ardagh Martello tower on Bere Island. It is likely that each of the towers held a 24 pounder gun. 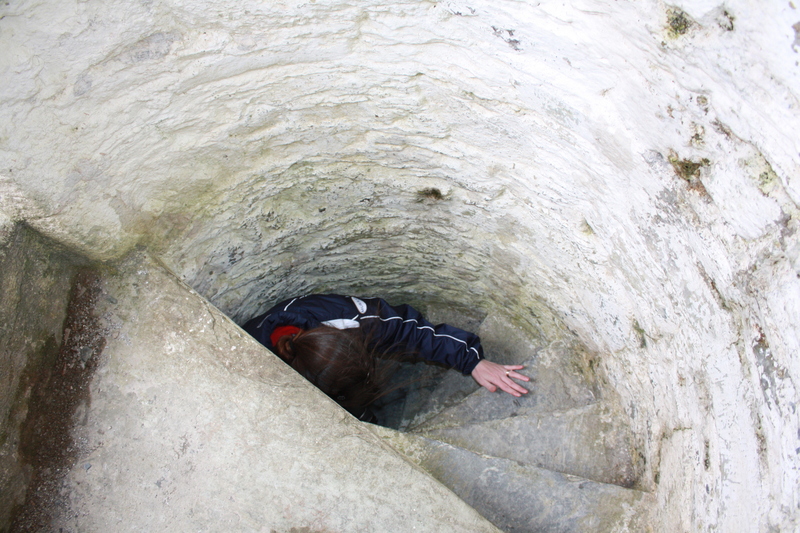 The entrance to the tower was at first floor level and opened into the barracks which accommodated the gun crews. The powder store was located in the ground floor with all three levels connected by a turnpike stairs. 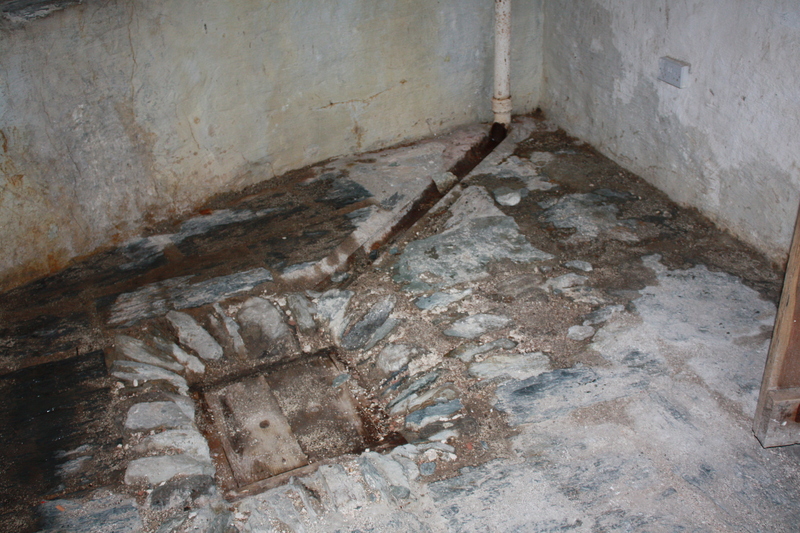 Rainwater was gathered in drains on the roof and channeled to the basement where it was gathered in a cistern for use in case of siege. 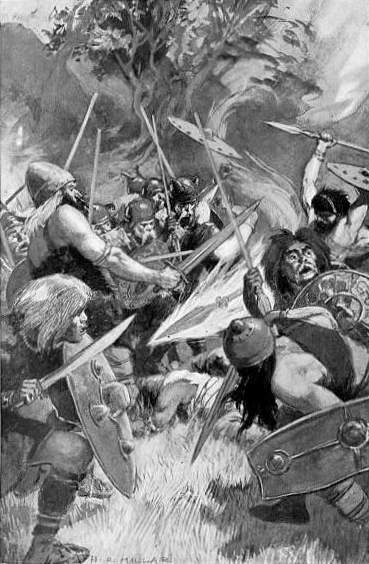 The Cloughland tower was constructed within a circular ditch while the Rerrin example was surrounded by earthworks including a glacis which faced the seaward side. A rectangular complex of ruined buildings is located adjacent to each of the surviving towers and presumably served as less cramped accommodation. As a complex, the Martello towers were a significant deterrent to attack on Berehaven and while the individual towers provided cover for ships which lay at anchor, they also covered each other from land based attacks. The Martello towers were manned until 1815 when there was no longer a threat of invasion by Napoleon. 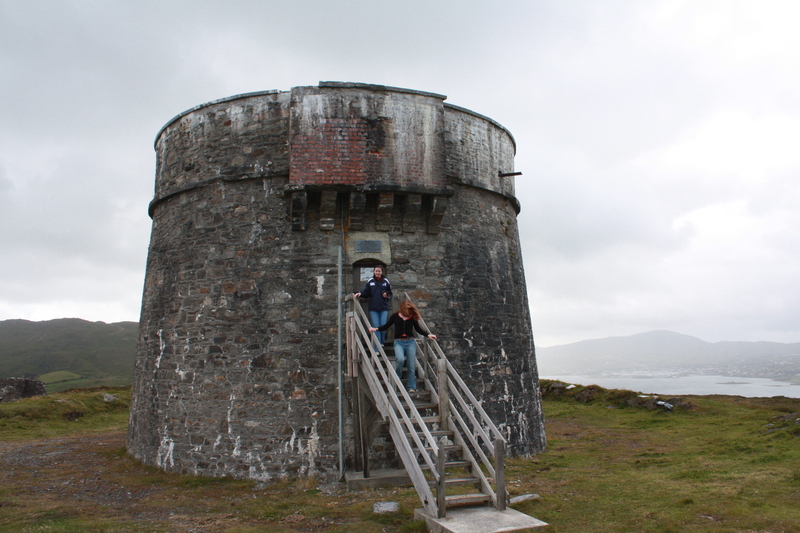 Both Martello towers are accessible to visitors to the island although the Ardagh tower is both nearer the road and can be entered through a set of wooden steps. Directions can be sought from the Islands visitor centre.